Our ultimate destination had three possible routes to get there. None of them involved the city of Columbus. 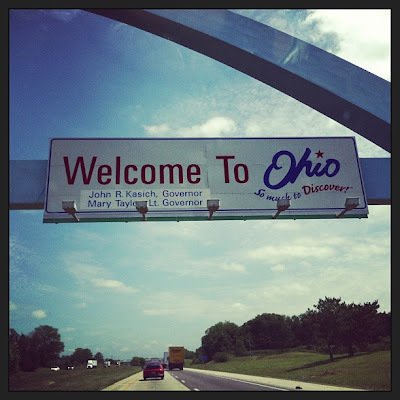 But after driving east on I-70 through lots of construction, we noticed that 1-75 north had even more and all of a sudden we found ourselves in Dayton with a decision to make. It was a fairly easy call. We headed over to Columbus (at least the outskirts – Dublin) and then we planned to head due north from there. It certainly added some additional mileage to the trip, but I’m not sure it added much time because it was pretty smooth sailing (and scenic) from there. Why were we so keen to get to Columbus? Ah yes, that’s why. I just couldn’t get that close to Jeni’s without actually going to one of her stores. Choosing two flavors was nearly impossible, and I’m usually the decisive one. I’ve made at least a third of the ice creams from her cookbook, so I opted to try ones that I haven’t made – I went with Buckeye State and Brambleberry Crisp. They were both divine. The shop was just as cute as I imagined it would be, and there was a steady stream of people in and out, despite the fact that it was dinner time on a Monday. It was hard to leave without taking some with us, but that’s the nature of ice cream and long road trips, I suppose. And this time I got smart and got three scoops! 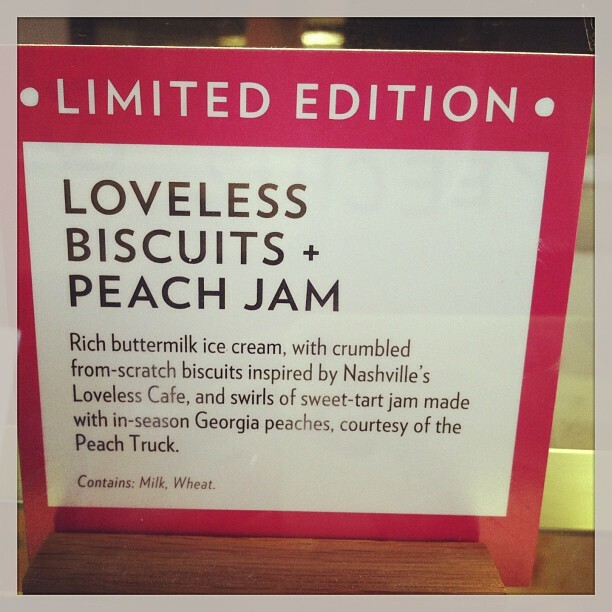 M joked about Jeni’s franchising stores one day because he could see me running a place like this. I agree. I’m all over it. 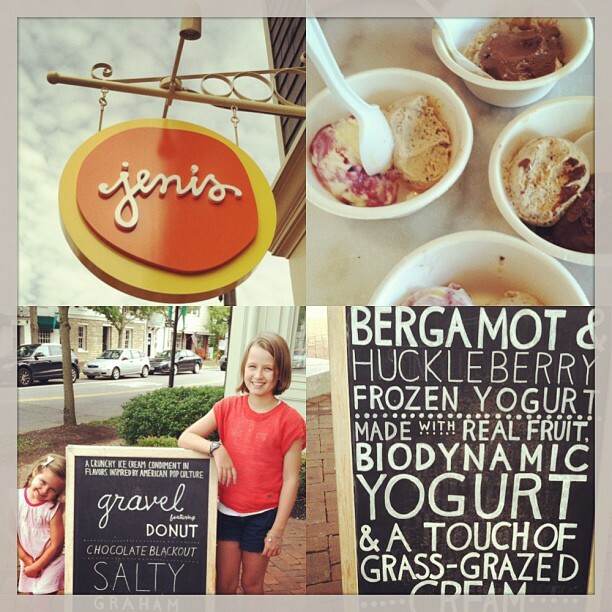 Just give me a call Jeni. This entry was posted in let's eat and tagged trips. Bookmark the permalink.